Family law deals with the prime binding unit of the community—the family. Family-related matters can sometimes blow into bitter, acrimonious battles that last several years, and as such, the importance of a good family lawyer cannot be emphasised enough. Family lawyers deal with explosive situations legally and objectively and strive to deliver justice to all parties. Married couples have a deep and intangible relationship. However, sometimes circumstances develop that create mistrust and doubt among the spouses, which can lead to misunderstandings. If these misunderstandings are not promptly solved, they can cause the marriage foundation to crumble. This is the reason for most family rifts. In such a situation, a good family attorney is needed who can bring both parties together to discuss their differences and try to find a way to reconcile. A good lawyer will try to settle marriage disputes before they can result in separation and divorce. If the differences between the couple are irreconcilable, the spouses can seek a legal termination to their marriage. This is called a divorce. Divorce should be the final solution to a couple’s dispute and it is best to seek a compromise before taking this option. When a couple divorces, it involves not just a severing of marital ties, but consideration has to be made about the settlement of property and custody of children. The divorcing couple cannot decide these different aspects by themselves and a reliable divorce lawyer is required to help the spouses settle all considerations. In addition, an attorney also supports the couple emotionally, as it is a tough and distressing time for both parties. When a couple is divorcing, their joint property, estates and other assets need to be rightfully divided. In such a situation, family lawyers need to work with both parties to ensure a fair and satisfactory division. If property is settled improperly, it can prolong the bitterness and hostility among the spouses. Accordingly, division of assets is a very important legal aspect of family law. One of the most important aspects to be considered is the rights of children. When a couple divorces, children often face a hard time as their home and family are being divided. In this scenario, the law requires that the couple share responsibility by providing a safe, secure and protected environment for their children. Child custody and support matters need to be properly negotiated so as to minimise the stress and anxiety for children. Child custody is sometimes given to one parent while the other parent provides support, or both parents may share custody of the children. 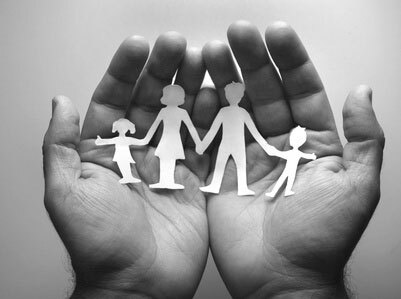 Family law is therefore very important in securing the rights of children of divorcing parents. All these branches of family law are very important in their own right. Family lawyers handle these different aspects and try to ensure that all family matters are settled with the minimum of anger and animosity. Blair Campbellis a writer with extensive knowledge in the field of law. She suggests this site for all your legal help. The site offers clients legal advice to help resolve family conflicts and disputes.